Leo Thomas 'L.T.' 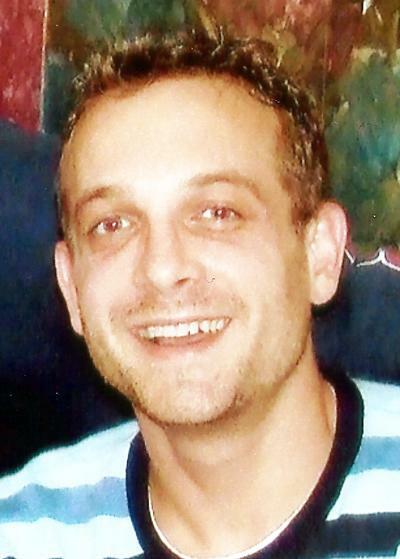 Gallant, died accidentally and tragically at home on May 29, 2015, at the age of 37. Born in Antigonish, he was the oldest son of Leo and Margaret 'Peggy' (MacDonald) Gallant of Antigonish. A graduate of St Francis Xavier University, L.T. held a Bachelor of Arts in Human Kinetics with a minor in Mathematics (2004) and a Masters of Education in Curriculum Design (2011). He also held a Bachelor of University Studies from the University of Maine (2006), where he met Danielle, his beautiful wife and fell in love. Through their union, he became an honorary Cape Bretoner, adopting a large extended family in Sydney Mines including his mother and father-in-law, Ellen and Daniel Clarke; his three brothers-in-law Jim, Tyler, and David, and their maternal grandparents Jerome and Ad MacDonald as well as many aunts, uncles, and cousins who loved him dearly. He was employed as a Lab Instructor in the Department of Human Kinetics at St. FX at the time of his death, teaching in several areas including Personal Health, Fundamental Movement Skills for Children, Resistance Training, and Exercise and Evaluation. Where he could, he encouraged the Human Kinetics students to seek certification in all areas of coaching in order to ensure that all youngsters could be coached by a certified coach. Before joining the University, L.T. taught at the Thomas Aquinas Centre in Dartmouth, for the Potlotek Board of Education at the Mi'kmawey School in Chapel Island, and for the Strait Regional School Board. He also worked as a carpenter, a welder, and a gardener. In his neighbourhood, he was well known for his gardening expertise, taking great pride in his beautiful landscaped property. One of his goals in life was to try to leave things a little bit better than how he found them. A loving husband to Danielle Clarke Gallant and father to daughter, Haley Ann Maclnnis and son, Leo Thomas Gallant, he loved his immediate and extended family, always delighting in their achievements. Besides his parents, L.T. is also survived by his brother Ian and his wife Gina in Ottawa with their children Holden and Cordelia; his brother Ray and his wife Bronwyn with their children Claire and Charlotte in Halifax; maternal grandmother, Rena MacDonald, New Glasgow; and several aunts, uncles, cousins, and in-laws. Predeceased by paternal grandparents, Margaret and Leo Gallant and maternal grandfather, James MacDonald. Visitation will be held Monday from 2-4 and 7-9 p.m. in C.L. Curry Funeral Home, 135 College St., Antigonish. Funeral Mass will be Tuesday at 11 a.m. in the St. FX University Chapel, with Rev. Danny MacLennan presiding. Burial in St. Ninian’s Cemetery. Family flowers only, please. In lieu of flowers, donations may be made to the St Francis Xavier University Xaverian Fund for Scholarships and Bursaries.